This volunteer fire department is housed in a former retail store, and desired a more visible identification of the new use of the building. They also had the good fortune of owning a restored fire engine steamer that had been built in 1872, but it was being stored in a garage. Helbing Lipp Recny Architects designed an addition to the front of the facility, which faces the main street of the town. 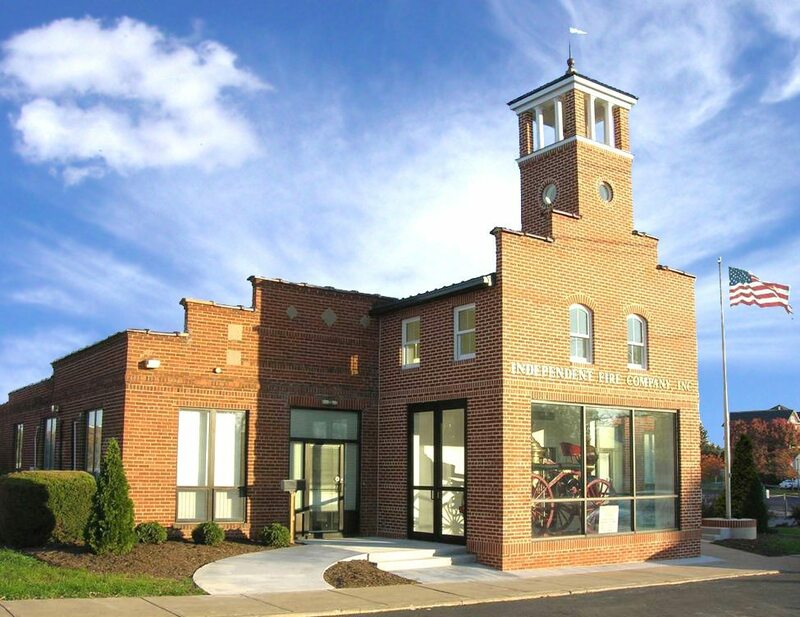 Using design cues from the existing brick detailing and terra cotta coping, the new addition evokes old fire stations with a large bell tower on the roof. However, the front walls feature large windows to highlight the interior where their prized fire steamer, lovingly named “Idella”, is now proudly on display.